Finally some positive news for the Rialto Theater! 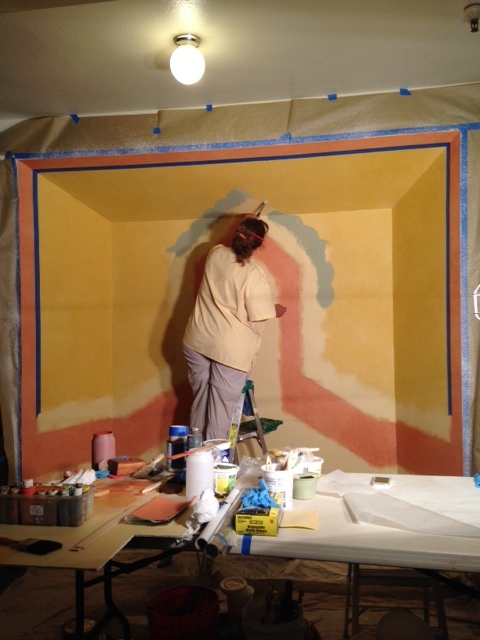 Work is in progress on a mural restoration/recreation at the historic Warner Grand Theatre in San Pedro. This beautiful art deco movie palace originally opened in 1931, and is on the National register is also LA historic Cultural Monument #251. We’ve completed a couple of restoration projects here over the last 5 years. Built by Sid Grauman and Charles Toberman, and designed by Meyer & Holler in the “Egyptian Revival style”, the Egyptian Theatre opened to much acclaim in 1922 as the venue of the first ever Hollywood Premiere (Robin Hood). 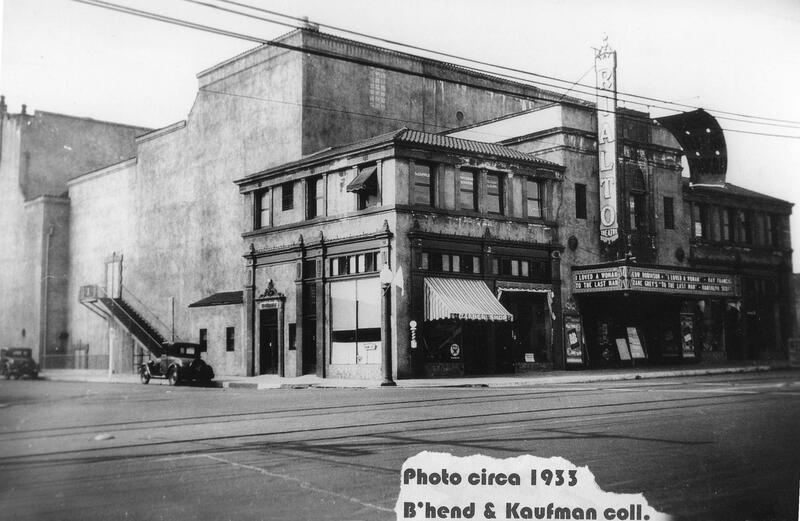 The theater declined in the 1980s and was eventually sold by the City of LA to American Cinemateque in 1996. 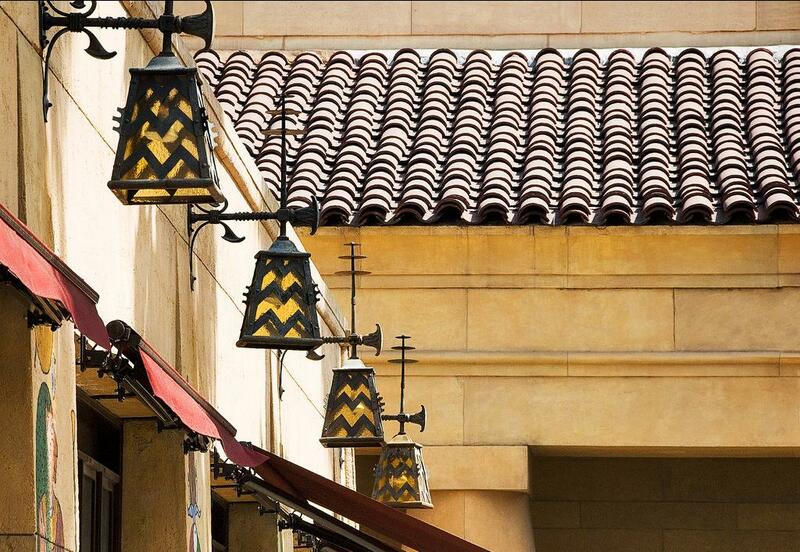 When the American Cinemateque restored the historic Egyptian Theater in 1998 its famous exterior courtyard was also part of the plan. Our participation included the restoration of three original lamps (with any missing pieces recreated) and the complete fabrication of three additional fixtures. Rewiring was completed and new lenses were installed. 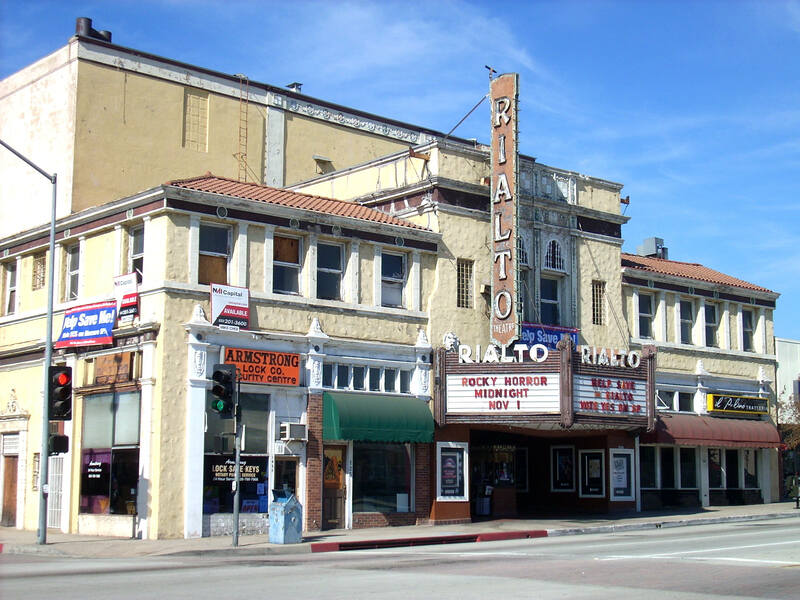 We were recently asked to provide preliminary budgets for exterior restoration at the Rialto Theatre in South Pasadena. Opened in 1925 with the world premier of Universal Picture WHAT HAPPENED TO JONES?, the Rialto was one of the last designs by prolific theater architect L.A. Smith. It was designed for both movies and vaudeville acts and had one of the first famous Wurlitzer organs (which was removed, but is on display at the South Pasadena Preservation Foundation museum). The theater was outfitted with sound equipment in 1928 for “talking pictures.” The Rialto was slated for demolition in 1977, but likely was saved by the community, and a year later was added to the National Register of Historic Places. Though the Rialto Theatre survived the death of vaudeville, two fires and threats of demolition and conversion to a parking lot, it finally succumbed to low ticket sales and sadly closed in 2007. Hopefully some good news for the revitalization of that theater is on the horizon! 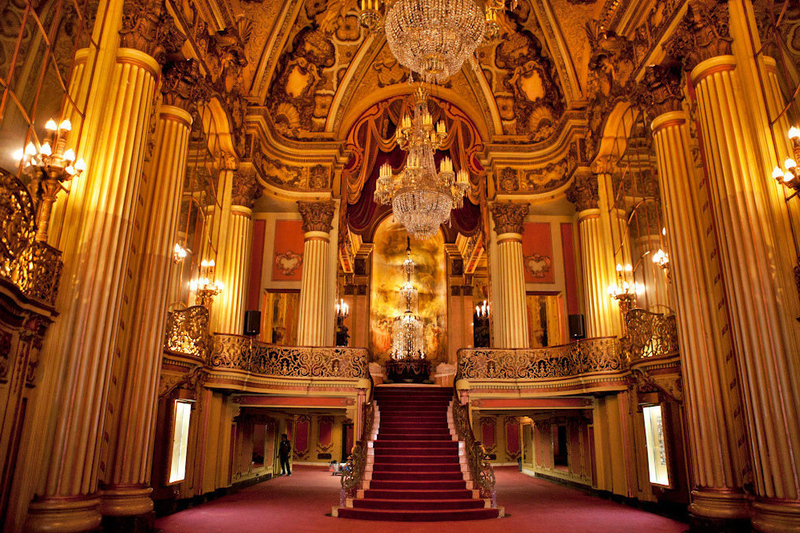 Check out these beautiful photos of the Los Angeles Theatre on Broadway by Curbed LA. The Los Angeles, built in 1931, was the last of the opulent theaters built in what is now the Broadway Historic Theatre District – the first and largest theater district listed on the National Register of Historic Places. While most of the theaters aren’t used as regular movie houses or performance venues on a regular basis anymore, you can still experience them through programs like the LA Conservancy’s Last Remaining Seats and Walking Tour, and Cinespia. 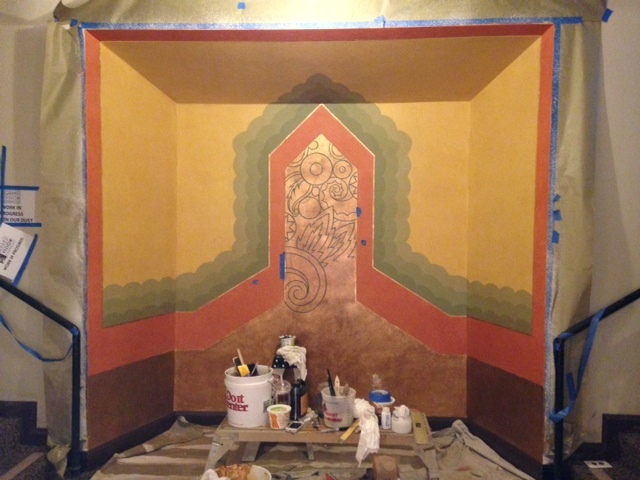 We haven’t had the opportunity to work on the amazing Los Angeles Theater yet, but we have done work on the Million Dollar Theater on Broadway, Raymond Theater in Pasadena, the Warner Grand in San Pedro.